Inform the police about illegal activities. The Beauty of Free Anonymous Emails. Are you sick of creating an entirely new email account just to send a little message once or twice? You maybe want to prank your friends or loved ones. Maybe you just want to say something that's been on your mind it just isn't the right time to say it straightforward. There are a few choice websites that allow you to do such thing. You can send any message to whomever you like, from wherever you're at, and they will never know it is you. First step: Complete the address you want the email to be sent to. Second step : You fill in the sender's email, subject, message and sender's name. You will become an anonymize yourself! You will be joining other hundreds of Internet users who send anonymous email messages each day. The best thing is that your identity is completely unknown and you can use any email address as a reply address. The difference from this service with other similar resources is that when you send an email, the receiver sees both your email address and your name. This is indeed one great advantage. If you are a model citizen, then perhaps you might transform in a hidden sender and inform tax office about those who dare to cheat on their tax paying duties. Untraceable emails can also be used as a way to declare your romantic feelings to somebody. Reporting something to your boss (you might not desire for everyone to know you sent that specific email), Sending fake email to verify the loyalty of your friends and warning someone through anonymous emails. A free prank email can turn out to be a great joke, allowing you to tell (later) to your friends about hidden email sender send anonymous messages. You will have to understand that it cannot be used for illegal activities, committing offence or fraud. You can send emails to anybody but that does not mean you are not to respect the law. For your own security, both the IP address and country of residence are recorded. 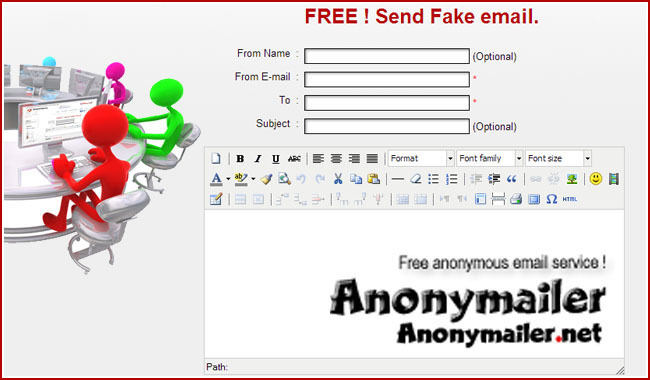 You can send your own fake email without using any real names, password or personal server. Fake email messages are sent through our server, requiring no SMTP or hosting account to be used. There is no limit on how many anon e-mails you can send throughout the entire day. 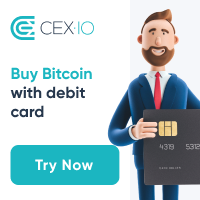 The send a fake email service can be used from any part of the world, on any computer and by any Internet user (advantage of this service - supports HTML platforms). the workers, I've used these sites to give my boss a heads up. It's absolutely safe and effective and it saved my money, so just imagine what wonders it can do for you. I've also used the sites to tell my bosses of any abuses that might be going on in the workplace that someone should know about besides me. Heck, I've even used the anonymous emails to tell the boss how I feel about him when he rants and curses to everyone. It is a beautiful thing I tell you! I have friends who have used this technology to their own personal advantage. Some of them used it to put their lying, cheating partners to shame and gather up enough courage and information to know that leaving is the right thing to do. No one deserves to be lied to, no one deserves to be used, if you use this service, you can allow yourself to grow and be happy. This anonymous email server is an ever-useful service. People have habits of misusing and abusing rights and powers, please don't be one of those people... use anonymous email servers for righteous purposes only.